I am extremely well qualified to look after your needs. Over the years I have striven to make Buying or Selling an enjoyable experience, taking the stress out by handling every detail in a prompt, professional manner. I also like to think I am Honest to a Fault, with excellent communication skills. Clients have always felt comfortable and confident with my abilities, and in the end are satisfied they have gotten their money’s worth. And I take pride in the Fact that I represent my Clients and only my Clients. I do not engage in the practice of "Double Ending" listings (Known as "Dual Agency") as I deem this a conflict of interest. Why Work with John Coulthard? 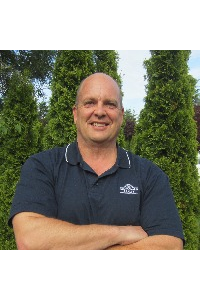 * Licensed since 1982 (REBGV"S Prestigious "Quarter Century Club"
* You work with me, and only me, not "Team Assistants"
"I Make Selling Your Home Very Easy and Enjoyable!"